The DJ duo went from London, Ont., to L.A. and then to the top of the charts. The Juno categories of breakthrough artist and group of the year have gone through a few different identities in their 45-year history, but what's never changed is the incredible pedigree of the categories' winners. A veritable who's who of now-established and future Canadian music industry icons have taken home these coveted Junos. Breakthrough artist winners include Burton Cummings, k.d. lang, Colin James, Alanis Morissette, Jann Arden, Avril Lavigne, Michael Bublé, Feist, Drake, the Weeknd, Alessia Cara and Jessie Reyez. The list of breakthrough group winners is equally star-studded: Bachman-Turner Overdrive, Rush, Glass Tiger, the Tragically Hip, Nickelback, Alexisonfire and A Tribe Called Red. Think of the Junos as an opportunity to survey just a little bit more of the country's music scene, its depth and breadth, and then keep checking back as CBC Music posts its handy primers for each artist and group, as well as some context to help deepen your appreciation of these great musicians. Where: Los Angeles via Toronto via London, Ont. Sound: Production and DJ duo Andrew Fedyk and Joe Depace make electro dance pop — or, as they call it, "deep house with a shot of tequila." Why they're nominated: Their breakthrough hit, "Body," featuring Brando, has been inescapable since its release in October 2017, earning more than 393 million Spotify streams and 100 million views on YouTube. Previously: The pair met while attending Western University in London, Ont., and began making music together in 2012, posting their remixes to Soundcloud before "Body" blew up. Fedyk was known as DJ Feddy, and had been working in that capacity, according to this 2015 article, since the 12th grade. 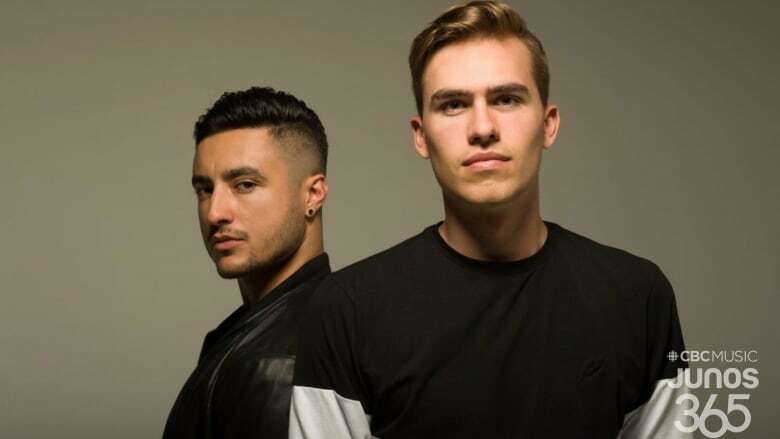 In 2015, the pair relocated to L.A. and began touring, opening for Arty and fellow DJ/producer duo Dimitri Vegas and Like Mike. Fun fact: The band got its name from a song collaboration between Fedyk and a hip-hop group called the '90s. The relationship didn't last, but the name did. Wherever you are in the world, you can watch the 2019 Juno Awards on Sunday, March 17, broadcast live from London's Budweiser Gardens at 8 p.m. ET on CBC, CBC Radio and online at cbc.ca/junos.